Established in March 2010, Parkes is a leading boutique legal recruitment agency in Western Australia. We have the resources and flexibility to fashion a solution to meet your legal staffing requirements; whatever they may be. For candidates, you can rely on our in-depth local knowledge and accurate advice. Originally from Reading in the United Kingdom, Angela arrived in Perth in 2004 on a working holiday and never left! She was immediately impressed by the friendly nature of the locals and the fabulous weather. Capitalising on her experience in the UK, Angela joined specialist legal recruitment firm Hughes-Castell in their Legal Support Division. Over the course of the next four years Angela established herself as one of the pre-eminent recruiters in her field. 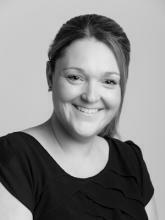 Angela co-founded Parkes Recruitment in March 2010. Her considerable market knowledge and detailed approach is highly regarded by clients and candidates alike. Outside of the office, Angela likes to go to the beach, get away from it all with a camping trip and enjoys a glass or two of local wine. © 2019 Parkes Legal Recruitment. All Rights Reserved.